Since J.R. Liggett’s old-fashioned shampoo, which I liked bringing to camping trips when we were exploring the great outdoors almost every weekend, my hair is seeing a new bar shampoo. It’s the other hair wash product I got from LUSH. 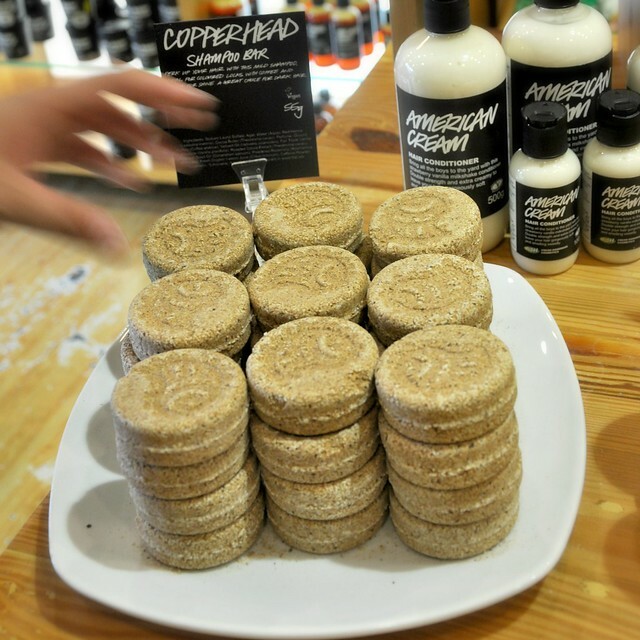 It’s called Copperhead, one of LUSH’s newest handcrafted shampoo bars. Daddy-O turned out wonderful for my colored-treated hair, yet I like alternating shampoos to give my hair rest periods like spring cleaning. The scent from the Copperhead bar is intimidating at first. 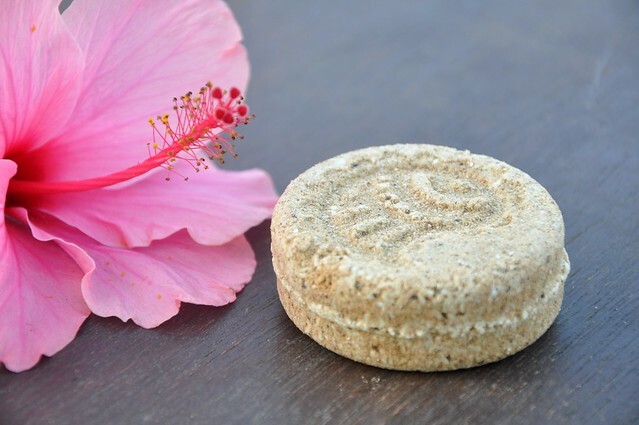 Earthy and herby notes overpower the sweet notes of vanilla. After using the bar, the scent of Copperhead in the hair is fresh and, hahah, likable. A bar is enough for 80 washes or so, LUSH says. However, it might not last me 80 washes because my hair seems to enjoy more a good, thick lather. My hair appears more vibrant, feels airy, doesn’t flatten out, even through hot and humid beach weather..
Copperhead is package-free. I like eco-friendly ideas, so it’s fine with me. 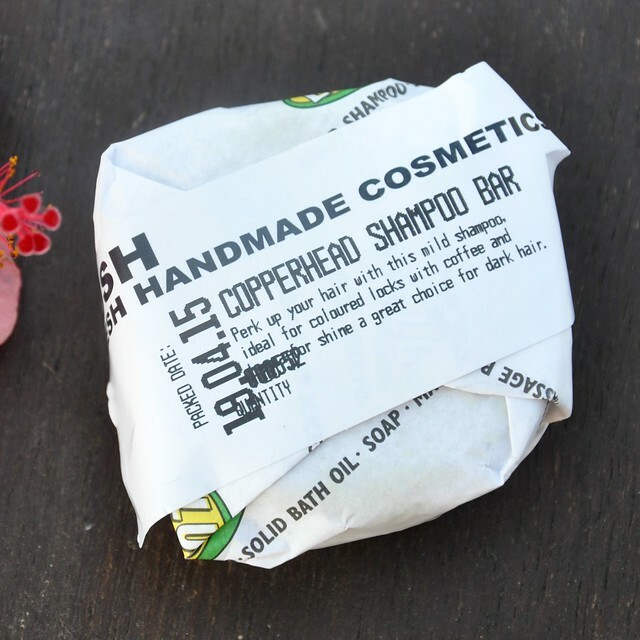 I recycled one of my used Bench Fix hair product containers into my perfect shampoo bar dish and traveling case. 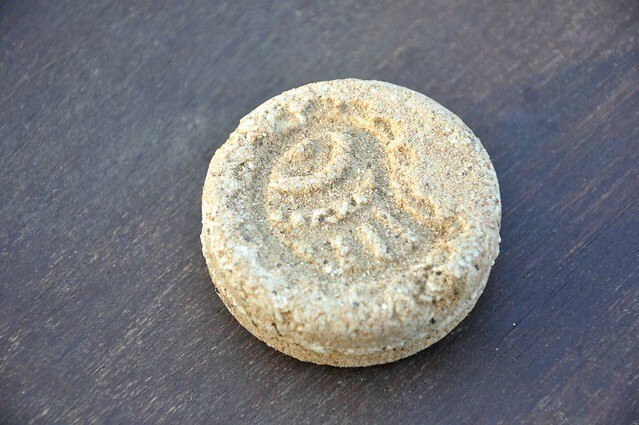 Use a shampoo bar like you’d lather up with an ordinary soap. 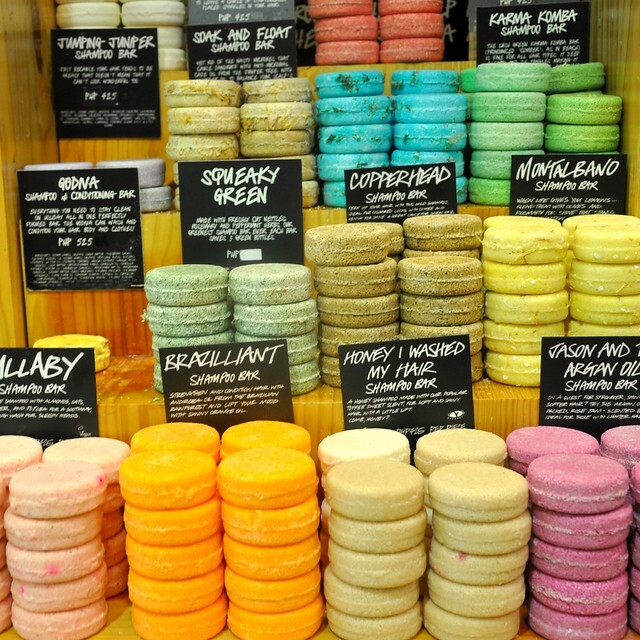 At the LUSH store.